The Friday that comes before Easter is Good Friday. Good Friday has religious significance since it is the day that Jesus Christ was crucified. 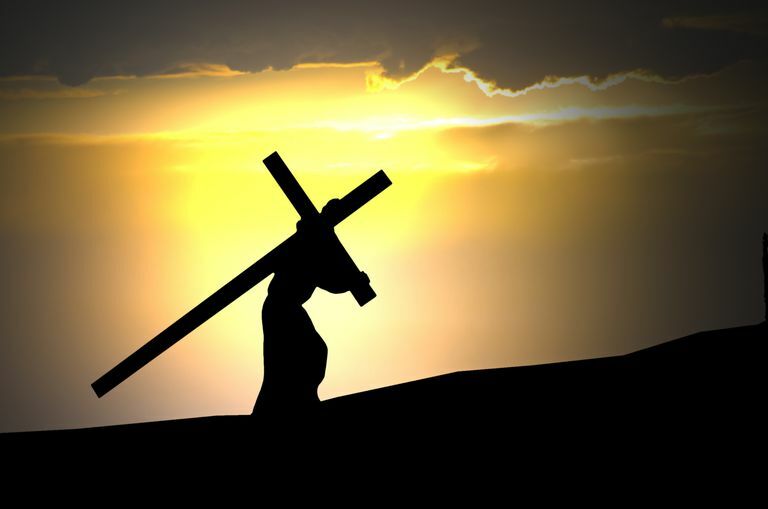 Good Friday is regarded as a day of mourning among Christians. Special church service is held on Good Friday. After much research and calculations, religious scholars concluded that Jesus’ crucifixion took place on a Friday. The estimated year of Jesus’ crucifixion is 33 AD. Good Friday is also referred to as Black Friday, Holy Friday, and Great Friday. The famous Bible story begins with Judas Iscariot‘s betrayal of Jesus. Despite being one of Christ’s disciples, Judas betrayed Christ. Jesus was brought before the Roman governor Pontius Pilate. Although Pilate could not find any evidence against Jesus, he gave in to the crowd’s clamor to crucify Christ. Christ was flogged, made to wear a crown of thorns, and eventually crucified alongside two common criminals. The story goes that when Christ finally gave up his spirit there was an earthquake. This happened on Friday, which later came to be known as Good Friday. The tale of Good Friday is incomplete without the optimism of Easter. Christ’s death by crucifixion is closely followed by his resurrection. Similarly, the promise of eternal life follows the despair of death. 20th century English Christian leader and Anglican cleric John Stott once proclaimed, “We live and die; Christ died and lived!” In these words lies the promise of Easter. The gloom of death is replaced with unsullied joy, an optimism that shines through in these words of St. Augustine, “And he departed from our sight that we might return to our heart, and there find Him. For He departed, and behold, He is here.” If you seek a deeper understanding of Christianity, this collection of Easter quotes and sayings may be insightful. Christ’s death on the cross is regarded as the supreme sacrifice. The crucifixion and the following resurrection are widely regarded as the triumph of good over evil. Augustus William Hare, writer, historian and reverend, expressed his beliefs beautifully in the following lines, “The cross was two pieces of dead wood; and a helpless, unresisting Man was nailed to it; yet it was mightier than the world, and triumphed, and will ever triumph over it.” Learn more about the Christian beliefs about Christ’s crucifixion with these Good Friday quotes. The prevailing mood on Good Friday is that of repentance, not celebration. Churches remain undecorated on this Friday of the Holy Week. Church bells do not ring. Some churches cover the altar with black cloth as a sign of mourning. On Good Friday, pilgrims to Jerusalem follow the path Jesus walked carrying his cross. The pilgrims stop at the twelve “stations of the cross”, as a reminder of Jesus’ sufferings and death. Similar walks are observed around the world, especially among Roman Catholics who undertake the walk in a bid to atone for Jesus’s agonies. Special services are held in many churches. Some organize dramatic renderings of the events leading up to the crucifixion of Christ. Children often look forward to eating hot cross buns on Good Friday. Hot cross buns are so-called because of the pastry cross that runs across them. The cross reminds Christians of the cross on which Jesus died. In addition to eating hot cross buns, families often clean their homes on Good Friday to prepare for the big celebration on Easter Sunday. Among other things, Good Friday is a reminder of the compassion and sacrifice of Jesus Christ. Whether or not you believe in religion, Good Friday tells us a tale of hope. The Bible upholds the teachings of Jesus — words of wisdom that are valid even after two thousand years. Jesus spoke of love, forgiveness, and truth, and not of violence, fanaticism, or revenge. He eschewed ritual for spirituality, urging his followers to tread the path of goodness. Regardless of whether Good Friday is near or far, we all stand to gain from these Jesus Christ quotes. Spread the Good Friday message of compassion and love through these quotes. God so loved the world that He gave His only begotten Son. Good Friday is the mirror held up by Jesus so that we can see ourselves in all our stark reality, and then it turns us to that cross and to his eyes and we hear these words, “Father forgive them for they know not what they do.” That’s us! So shall we join the disciples of our Lord, keeping faith in Him in spite of the crucifixion, and making ready, by our loyalty to Him in the days of His darkness, for the time when we shall enter into His triumph in No pain, no palm; no thorns, no throne; no gall, no glory; no cross, no crown. There is no faith in Jesus without understanding that on the cross we see into the heart of God and find it filled with mercy for the sinner whoever he or she may be. Author Dennis HickeyPosted on April 19, 2019 Categories OtherTags Traditions & HolidaysLeave a comment on Today is Good Friday. Why We Believe. Hanukkah (sometimes transliterated Chanukah) is a Jewish holiday celebrated for eight days and nights. It starts on the 25th of the Jewish month of Kislev, which coincides with late November-late December on the secular calendar. In Hebrew, the word ” hanukkah” means “dedication.” The name reminds us that this holiday commemorates the re-dedication of the holy Temple in Jerusalem following the Jewish victory over the Syrian-Greeks in 165 B.C.E. In 168 B.C.E. the Jewish Temple was seized by Syrian-Greek soldiers and dedicated to the worship of the god Zeus. This upset the Jewish people, but many were afraid to fight back for fear of reprisals. Then in 167 B.C.E. the Syrian-Greek emperor Antiochus made the observance of Judaism an offense punishable by death. He also ordered all Jews to worship Greek gods. Jewish resistance began in the village of Modiin, near Jerusalem. Greek soldiers forcibly gathered the Jewish villages and told them to bow down to an idol, then eat the flesh of a pig, both practices that are forbidden to Jews. A Greek officer ordered Mattathias, a High Priest, to acquiesce to their demands, but Mattathias refused. When another villager stepped forward and offered to cooperate on Mattathias’ behalf, the High Priest became outraged. He drew his sword and killed the villager, then turned on the Greek officer and killed him too. His five sons and the other villagers then attacked the remaining soldiers, killing all of them. Mattathias and his family went into hiding in the mountains, where other Jews wishing to fight against the Greeks joined them. Eventually, they succeeded in retaking their land from the Greeks. These rebels became known as the Maccabees, or Hasmoneans. Once the Maccabees had regained control, they returned to the Temple in Jerusalem. By this time, it had been spiritually defiled by being used for the worship of foreign gods and also by practices such as sacrificing swine. Jewish troops were determined to purify the Temple by burning ritual oil in the Temple’s menorah for eight days. But to their dismay, they discovered that there was only one day’s worth of oil left in the Temple. They lit the menorah anyway and, to their surprise, the small amount of oil lasted the full eight days. This is the miracle of the Hanukkah oil that is celebrated every year when Jews light a special menorah known as a hanukkiyah for eight days. One candle is lit on the first night of Hanukkah, two on the second, and so on, until eight candles are lit. According to Jewish law, Hanukkah is one of the less important Jewish holidays. However, Hanukkah has become much more popular in modern practice because of its proximity to Christmas. Hanukkah falls on the twenty-fifth day of the Jewish month of Kislev. Since the Jewish calendar is lunar based, every year the first day of Hanukkah falls on a different day—usually sometime between late November and late December. Because many Jews live in predominately Christian societies, over time Hanukkah has become much more festive and Christmas-like. Jewish children receive gifts for Hanukkah—often one gift for each of the eight nights of the holiday. Many parents hope that by making Hanukkah extra special, their children won’t feel left out of all the Christmas festivities going on around them. Every community has its unique Hanukkah traditions, but there are some traditions that are almost universally practiced. They are: lighting the hanukkiyah, spinning the dreidel and eating fried foods. Lighting the hanukkiyah: Every year it is customary to commemorate the miracle of the Hanukkah oil by lighting candles on a hanukkiyah. The hanukkiyah is lit every night for eight nights. Spinning the dreidel: A popular Hanukkah game is spinning the dreidel, which is a four-sided top with Hebrew letters written on each side. Gelt, which are chocolate coins covered with tin foil, are part of this game. Eating fried foods: Because Hanukkah celebrates the miracle of oil, it is traditional to eat fried foods such as latkes and sufganiyot during the holiday. Latkes are pancakes made out of potatoes and onions, which are fried in oil and then served with applesauce. Sufganiyot (singular: sufganiyah) are jelly-filled donuts that are fried and sometimes dusted with confectioners’ sugar before eating. Author Dennis HickeyPosted on April 17, 2019 Categories OtherTags Traditions & HolidaysLeave a comment on What Is Hanukkah? It is on a Sunday. What is the child in this picture doing? He is coloring hard boiled eggs for Easter. The dye is in plastic cups. 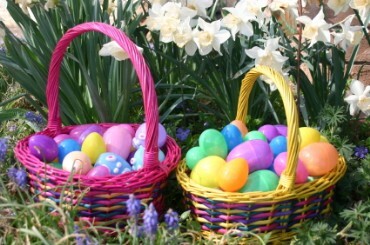 The Easter baskets are filled with colored eggs. Why is the girl smiling? 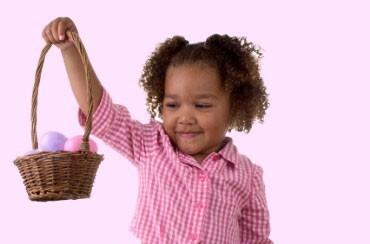 She is smiling because she has a beautiful Easter basket. 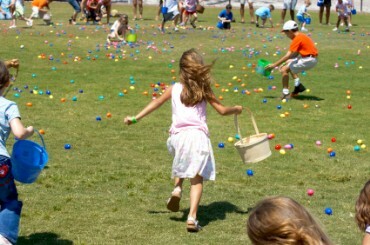 They are collecting plastic Easter eggs. 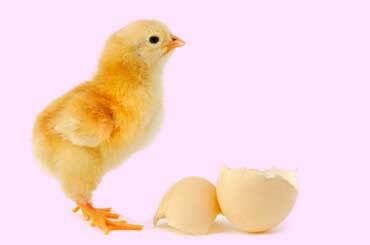 They will put the eggs in their baskets. 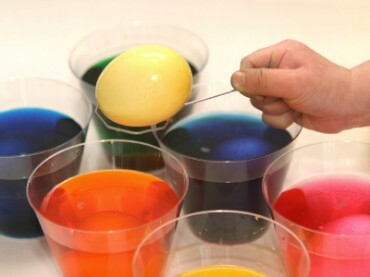 There is candy inside the eggs. What are these rabbits made of? They are made of chocolate. 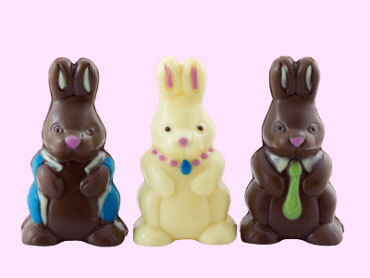 These chocolate rabbits are cute, and they taste delicious. Children call baby rabbits bunnies, but they are really kits or kittens. 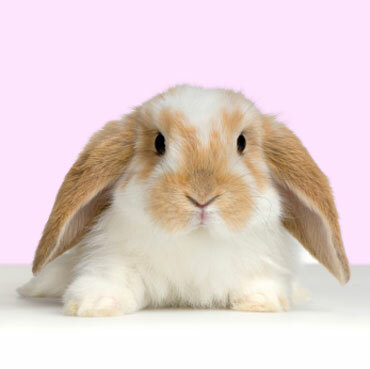 Rabbits hop because their back legs are longer than their front legs. What is this woman wearing on her head? She is wearing an Easter bonnet. An Easter bonnet is a fancy hat. 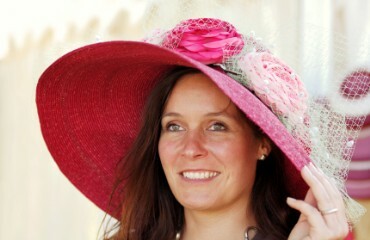 This bonnet is pink, and it has flowers on it.